Durable rust-resistant, black powder coated finish. Easy set-up for one person in less that one hour. 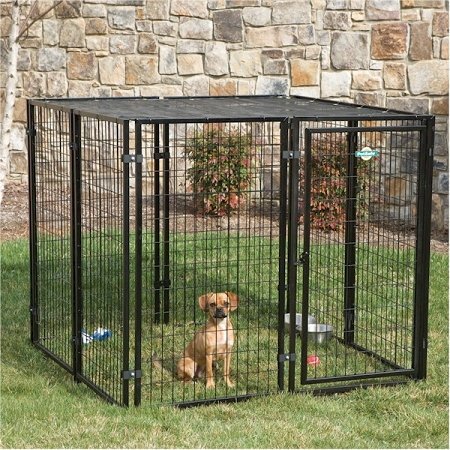 The PetSafe Cottageview Dog Kennel is constructed of welded wire, giving you a durable yet attractive kennel for your backyard. The rust-resistatn black powder coat finish gives it good looks while keeping your pet protected and secure. Includes a SunBlock Top to keep your dog cool in the shade. Can be expanded by purchasing the Cottageview expansion panel set.